THEY improv helps companies to think outside the box and to get new perspectives on issues that directly effect the bottom line. We can consult with your group and listen to your needs. We come at it with a mind's eye of finding the best approach for your group to better achieve your goals wherever they may be in Capital District. With years of experience providing Albany business consulting services, the staff of THEY improv bring their skills to solve your needs. Whether you are looking for help in achieving corporate culture change, merger or acquisition assimilation, simple team building workshops, leadership training, employee recognition, bonding, meetings and incentives or skills training, the professionals at THEY improv can assist you in unique ways. 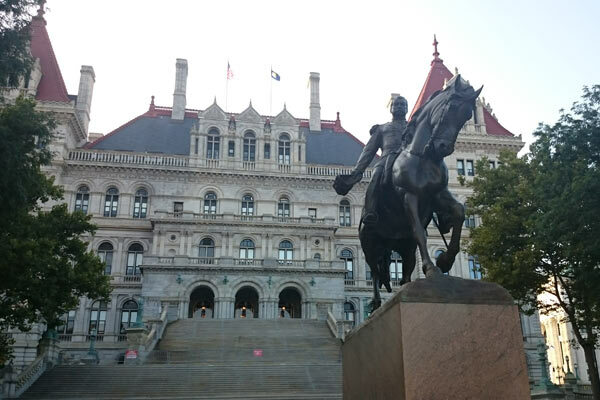 As the state capital of New York there is a special need for Albany business consulting services to serve governmental agencies and contractors alike. Proud to also serve the rest of the Capital Region of Upstate New York including Saratoga Springs, Clifton Park, Half Moon, Troy, Colonie, Schenectady, Utica, Amsterdam, The Catskills, and everywhere in-between. Likewise, our professionals can travel for an additional fee to other parts of the country or internationally.